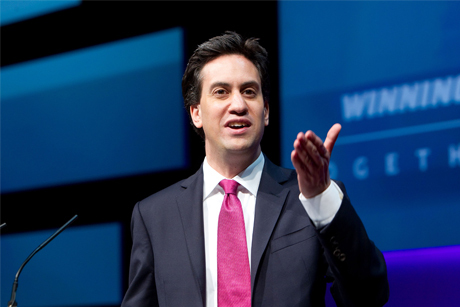 Big idea Ed Miliband's 'predistribution' plan, which was unveiled in a speech at London's Stock Exchange last week, has been hailed as the Labour Party's economic 'big idea'. The theory goes that with less money available to drive the core Labour concept of redistribution, the Government should focus attention on pushing up wages by equipping the workforce with better skills, or 'making work itself pay'. 'Predistribution' is Ed Miliband's latest move to differentiate Labour's economic position on austerity Britain. 'Too far and too fast' has become worn and tiring, and not enough has been made of the predator/producer capitalism unveiled last year. 'Predistribution' - by no means a new idea - is a positive move because it is eye-catching and will appeal to the centre left. Most notably, Labour will hope that this will include the Business Secretary, with one eye on 2015. However, Ed Balls' parallel unveiling of plans for a wealth tax signalled not only a lack of consistency of economic vision, but also fundamentally bad PR. The message should have been simple, well articulated and unified. Instead, disparate messages have led to a feeling that Labour is yet to come to an aggregated position on this most important issue.